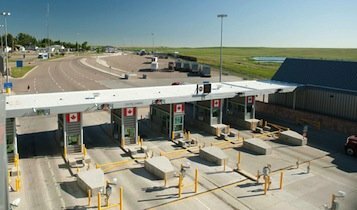 Another step has been taken to streamline the movement of goods and cargo across the Canada-US border. Working under the mandate of the Beyond the Border Declaration, which was signed by Stephen Harper and Barack Obama, the Canada Border Services Agency (CBSA) and the US Customs and Border Protection Agency (CBP) have harmonized their low-value shipment (LVS) thresholds on goods destined for expedited Customs clearance. As of January 8, the LVS threshold is now $2,500 in both Canada and the US. This marks a significant change in policy; prior to harmonization, the Canadian level was set at $1,600 and while the US limit was $2,000. In addition, Canada also agreed to increase the LVS threshold to $2,500 for exemption from NAFTA Certificate of Origin requirements, which parallels the US threshold. LVS goods receive an automatically triggered release with payment for duties and taxes not coming due until the following month. That’s in contrast to high-value shipments, which need to go through a CBSA release process. The CBSA also requires payments for high-value shipment duties and taxes to be made within five days. According to estimates provided by a CBSA spokesperson, “an increase in the LVS threshold to $2,500 will result in approximately 1.5 million shipments being transferred from the regular import stream to the Courier LVS Program, increasing its yearly volume to 36.3 million shipments. Accordingly, the regular import stream is expected to see a decrease of 1.5 million shipments. CBSA says the other main advantage for shippers is the potential to reduce costs as it will “decrease the number of penalties imposed on importers because more shipments qualify for the LVS extended accounting timeframe, thereby affording importers additional time to formally account for their goods. 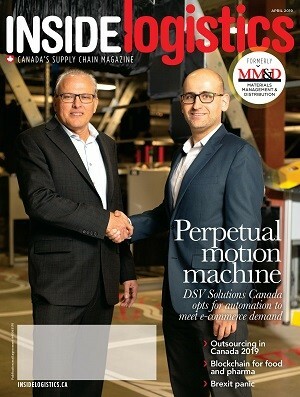 The decision was well-received in the industry, said Cristina Falcone, vice-president of public affairs for Mississauga, Ontario-based UPS Canada, in an interview with MM&D. “It’s a positive change, not only for the carriers but also for Canadian importers because it provides additional certainty that goods that are moving across the border are going to be able to continue in their flow and be delivered on a timely basis without worries about ‘on-holds’ for Customs reasons,” she said.